A wide array of pressure are being placed on the food industry. From labor shortages, shifts in the climate, and the need to feed a growing global population out to 2050, to consumers increasingly demanding healthy and sustainably grown food. Technological development is continuing to advance with LEDs improving in quality and seeing pricing economies of scale, while machine vision systems and data gathering sensors are hitting the market. Combined these trends have increased the use of modern greenhouses as the best option to produce the fresh vegetables, herbs, fruits and fish to meet current demand and fulfill tomorrows food needs. 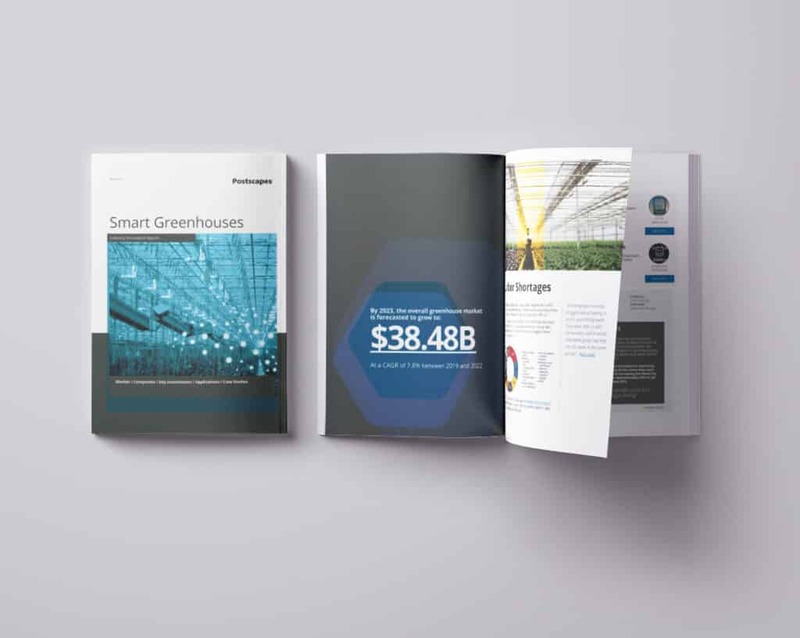 In the following pages, Postscapes’ has summarized 4 macro trends driving the future of the greenhouse industry and then we focus on five larger components of every greenhouse operation: Plant Conditions, Environmental Conditions, Material Handling, General Greenhouse, and Data & Management. These highlight specific systems and how greenhouse operators can harness new tools, and data to improve their operation efficiencies, increase yield and save resources. Additionally, each section includes quotes from experts who talk about the larger significance of these applications, plus case studies. product spotlights and “Next-gen” implications that point to what’s possible next. We appreciate the opportunity to share what we hope is a compelling story around the future of greenhouse production and its impact. We look forward to participating in the larger discussion as these new innovations reshape the industry.